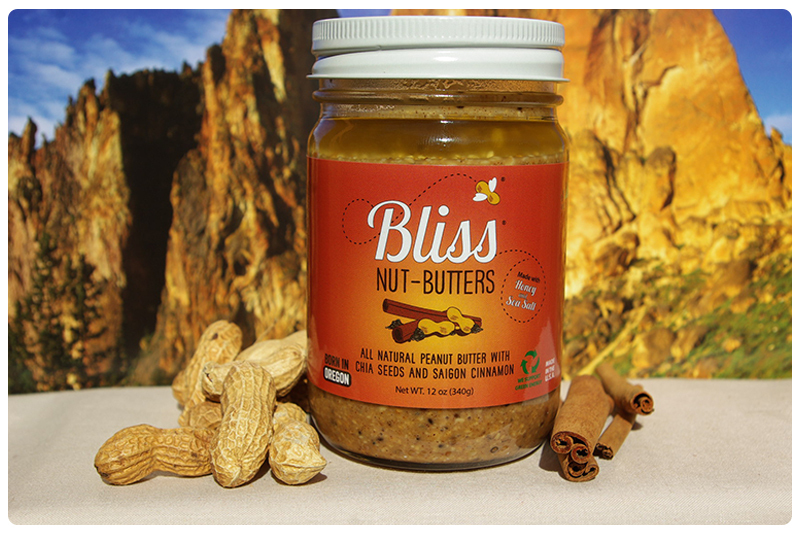 Experience a Jar of Bliss this Month! Our Facebook Fans love the perfect combination of nuts, honey, and a hint of sea salt. So good, you’ll eat them with a spoon! Cinnamon Chia Seed Peanut Butter Bliss. Packed nutrients and flavors, Cinnamon Chia Seed Peanut Butter Bliss is an all-natural peanut butter made with dry roasted peanuts, nutrient-rich chia seeds, saigon cinnamon, non-gmo honey, heart-healthy oils and a hint of sea salt. There are no preservatives, no additives and our peanut butter is packaged in a glass jar that is recyclable, sustainable and reusable. Our Fresh Ground Process gives our nut butters their unique taste and texture, and allows us to preserve the integrity of all the wonderful ingredients. Almond & Coconut Butter Bliss. 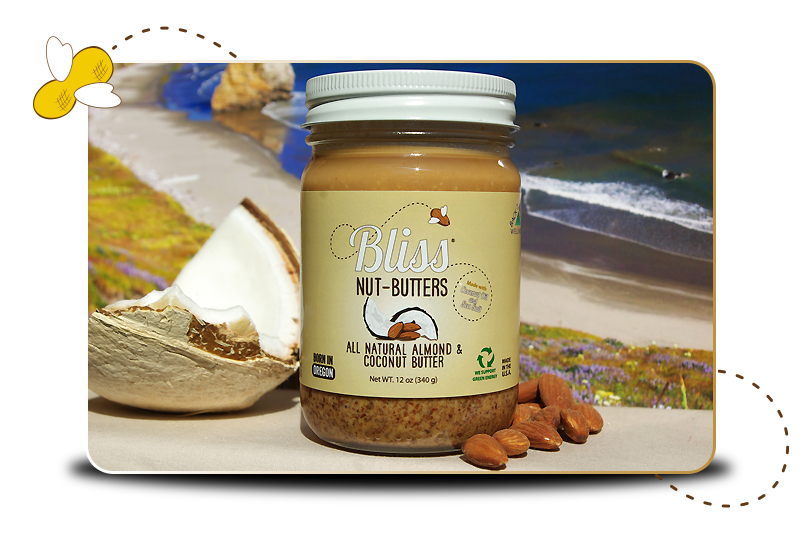 The newest of Butters in the Bliss line up, this Almond Butter is unlike any other Almond butter out there. 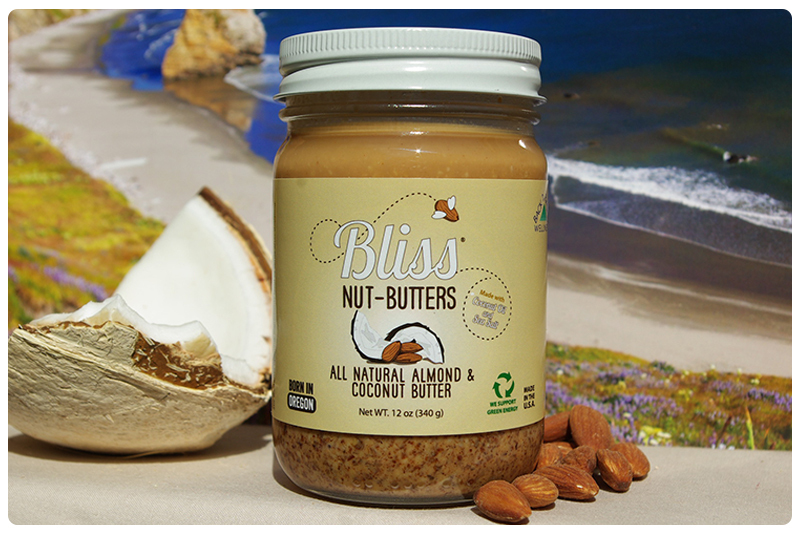 A decadent blend of crunchy almonds, coconut butter, coconut oil and sea-salt. 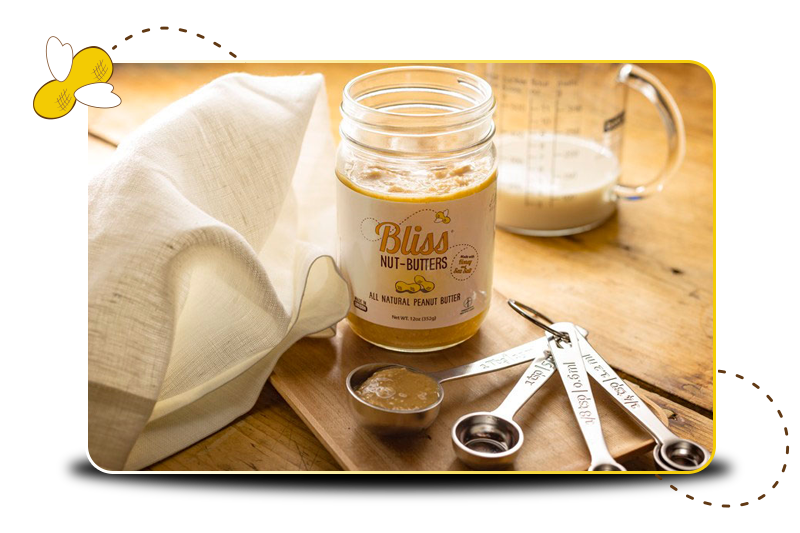 Although the rest of the line of Bliss Nut Butters are made with the classic honey and sea-salt blend this particular butter is unsweetened. The coconut and almond mixture lends to a flavor that will appease any taste buds, and fits all diets, including Paleo, Vegan, Whole30, Keto, Vegetarian, and the general foodie! Hazelnut Butter Bliss. 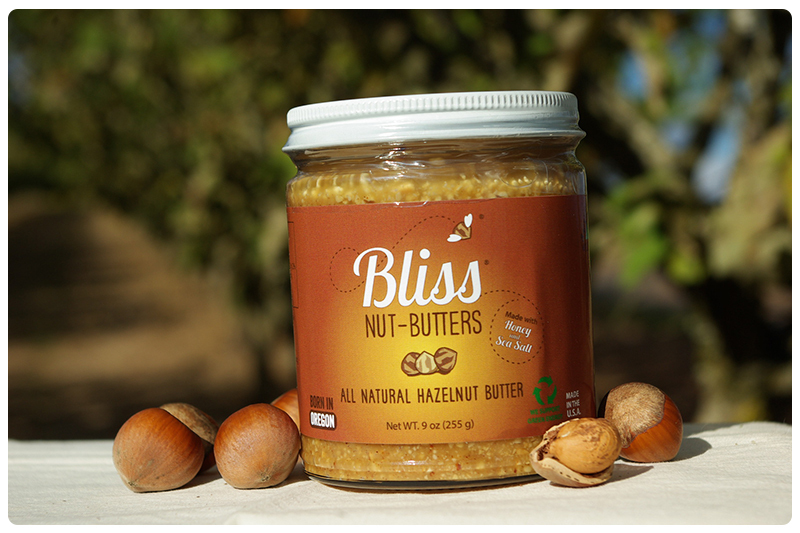 To create our Hazelnut Butter Bliss we sourced Hazelnuts from the Northwest, paired them with our classic combination honey and sea-salt and spun with it Organic Sunflower oil for to achieve a delightful spread. This particular nut is in a class of it’s own with our Fresh Ground Process and the natural tones of vanilla that lends that classic hazelnut taste.